What are Super Foods and do they Taste Good? Recently, two specialists at Navitas Naturals held a webinar to provide information about what super foods are with suggestions about how to add them to our diets. Mullin emphasized that super foods are those which are: not genetically modified (non-GMO), native sourced and minimally processed. The first super food that Julie Morris, who creates recipes for Navitas Naturals, introduced was cacao nibs, which she said were similar in flavor to a chocolate-covered espresso bean. Although not sweet themselves, Morris said cacao nibs can easily be incorporated into sweet baked goods. Cacao in powder form is also a great substitute for cocoa, said Mullin. 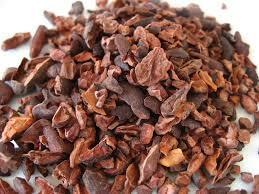 Cacao powder is made by cold-pressing cacao nibs and then processing them at a low temperature. This low temperature processing, preserves the nutrients, Mullin said. Morris also recommends cacao in savory recipes such as chili or molé sauce. Her favorite super food is chia, which is sold in seed form and as a powder. 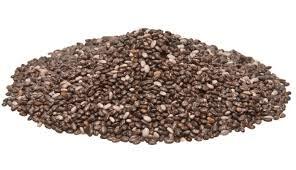 High in fiber, chia is rich in omega 3 and 6 fatty acids. Chia’s ratio of these fatty acids is a three to one ratio, which promotes certain kinds of health, she explained. 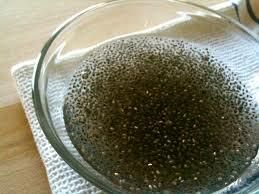 Chia in water produces a gel that has culinary applications. “Because of the jelling properties, the chia seeds, by adding water for 15 minutes, become a textural treat,” Morris said. They act as a flavor carrier, adding texture to guacamole, pudding, sauces, jelly and classic chia fresca – a Mexican drink. Among chia’s benefits are that chia seed are low in calories, have virtually no flavor, and just a handful give you the nutritional benefits, Morris explained. “They’re also good in cereal, soups and yogurt,” Mullin said. 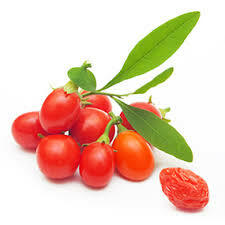 Another super food is goji berries, sundried and ready to eat or available as a freeze-dried powder. Rich in iron and calcium, these mildly sweet berries from China are the subject of folklore and mythology, Mullin said. “They look like little red raisins with a tart, sweet taste,” Morris said. They are good in muffins, oatmeal, smoothies and as a hot tea. “Goji berries are a natural companion to cacao,” Mullin said. At his company, the goji berries sold have no additives, pollutants, are non-GMO and are third party tested to ensure they are organic,” Morris added. At Navita Naturals, maca is processed using low temperatures to preserve its nutrients, Mullins said. 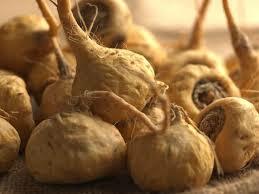 As such maca has flavor friends and flavor enemies. According to Morris, maca’s flavor enemies are: fresh fruit, peaches, apples and leafy greens. For more information, visit their website http://www.navitasnaturals.com.